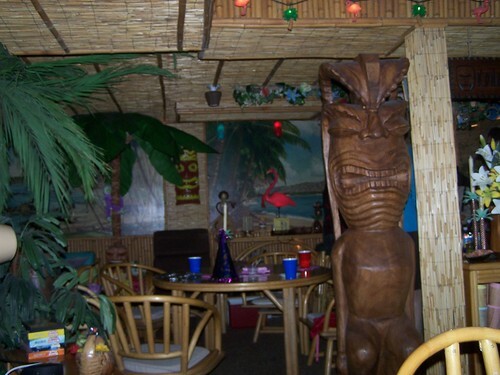 Joe and Kathleen started collecting tiki accouterments years ago. They hit the motherlode when Joe's brother spied a heap of vintage 40's rattan furniture (with its original Hawaiian upholstery) waiting for curbside traffic pickup; it was being thrown out of a house whose 50-year old basement tiki room was being remodeled as a wine cellar. One man's trash, as they say. Three pickup loads later and that room now lives on. 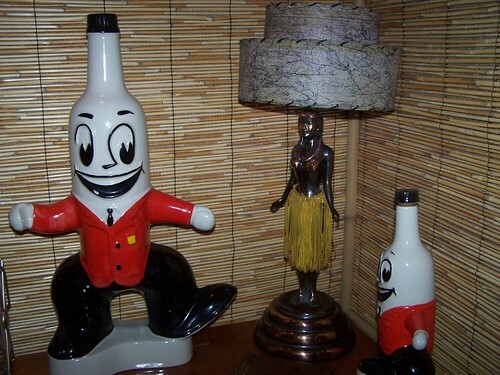 Why are these Shrineresque bottles smiling? Because when you turn on the hula girl lamp, she shimmies! 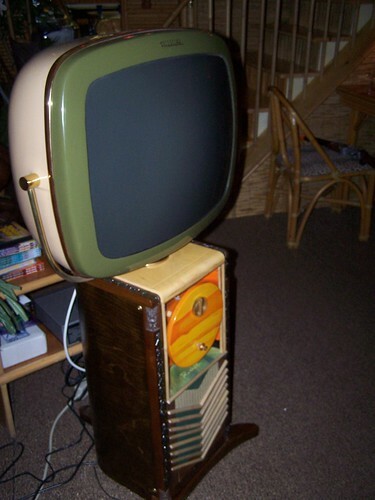 One bit that wasn't vintage: This Philco Predicta TV set. 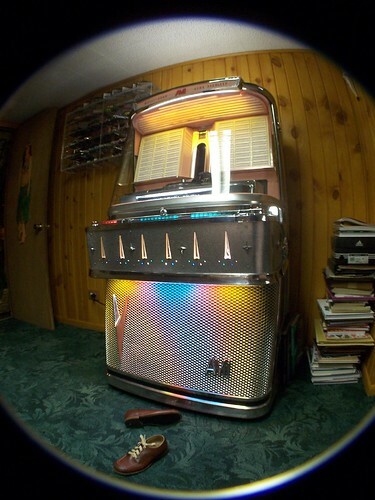 It's actually a very clever custom reproduction made from vintage and modern parts. In fact, it was made by two of the other party guests, Dan and Mike, who have a thriving business in Wisconsin making Philco Predictas -- check out their bitchin' website. I'll have much more on these later. Joe and Kathleen don't contain their love for vintage 50s to the basement. Upstairs at their vintage suburban ranch house is full boomerang-googie modern, and even the garage gets into the act. 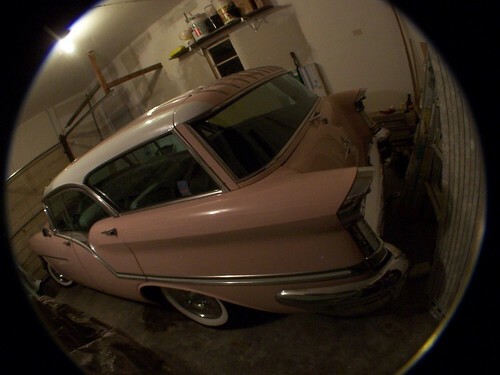 Happy 1959! More photos here.